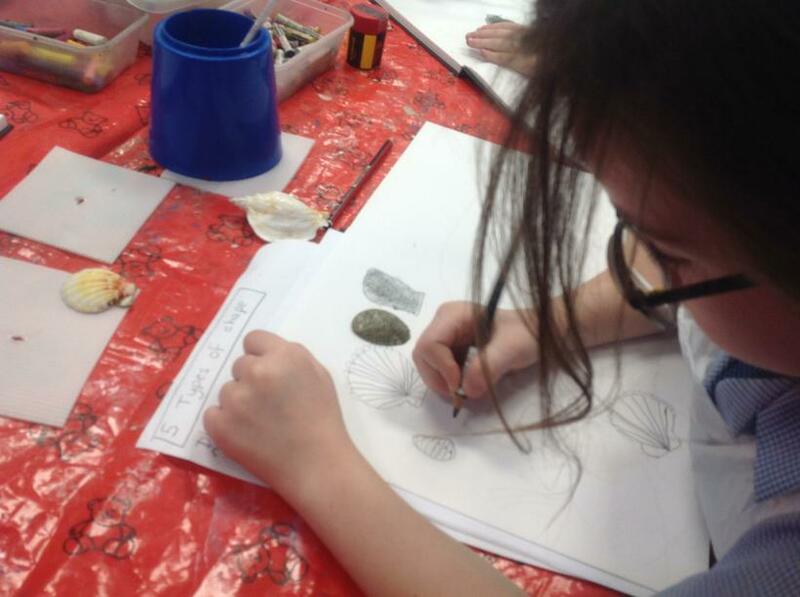 Our fantastic, talented artist Becky has been back working with Year 3 this week. 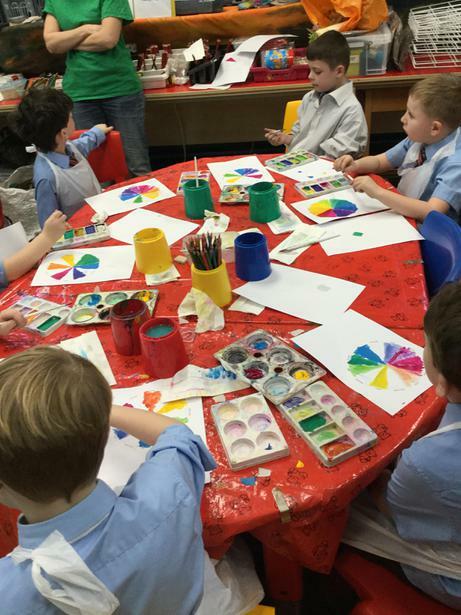 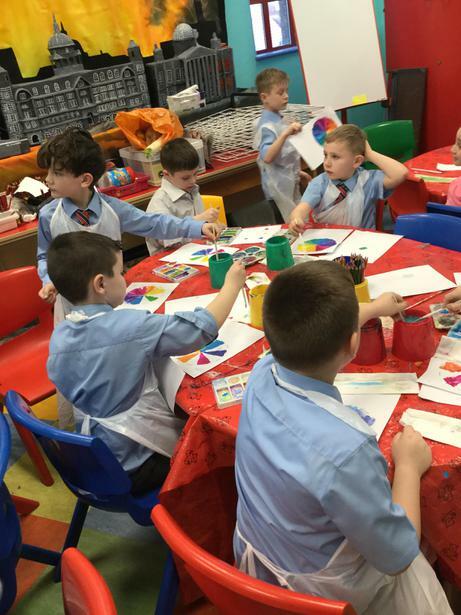 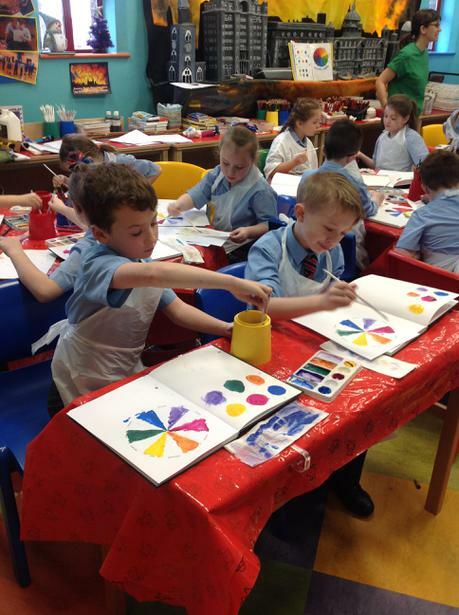 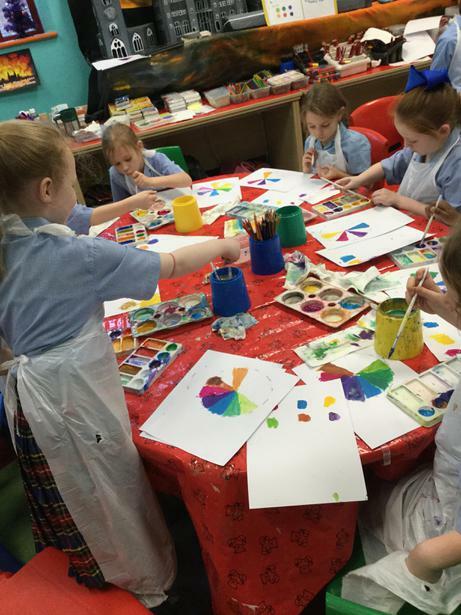 The week began with the children painting an extravagant colour wheel filled with bright, exciting colours. 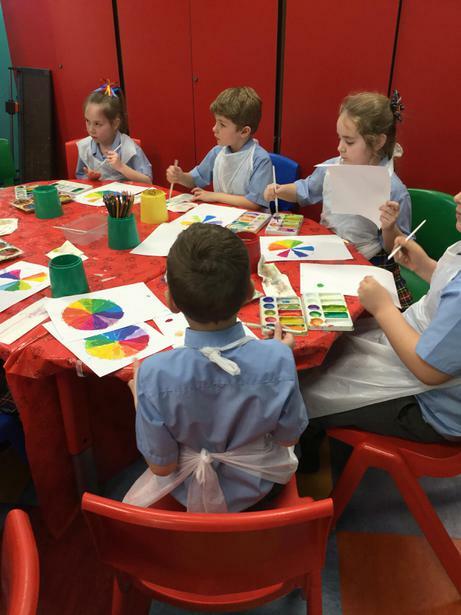 The children developed skills in mixing paint in order to populate the colour wheel which produced some fantastic results. 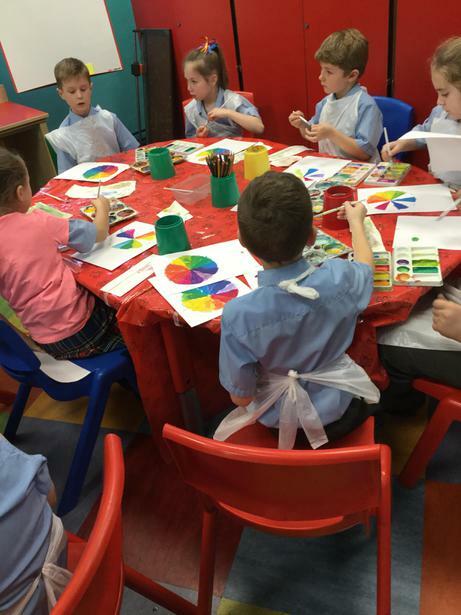 The children were taught all about primary, secondary, tertiary, complimentary and also harmonious colours! 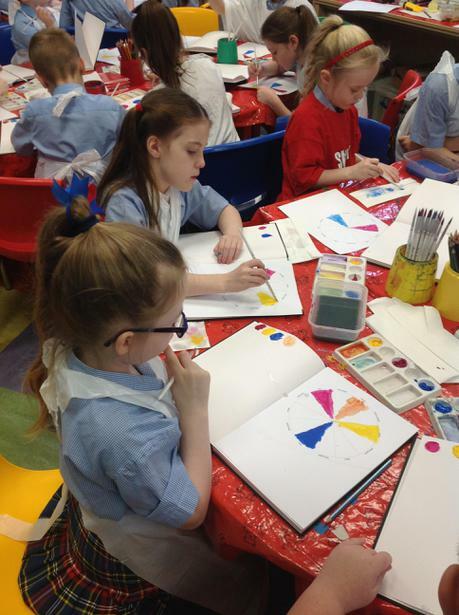 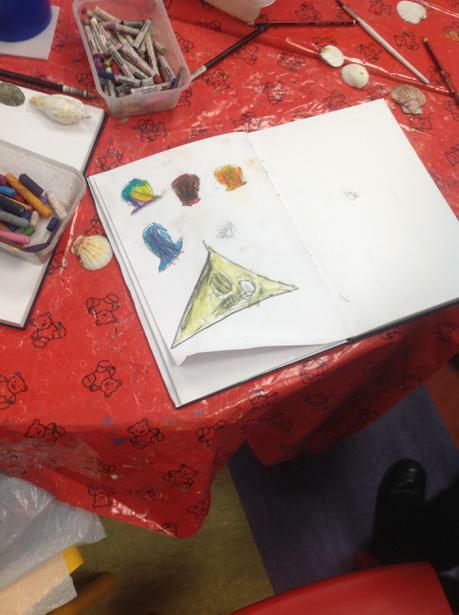 As the children’s skills progressed, Becky introduced some beautiful, delicate oil pastels and the children were taught how to blend colours together too. 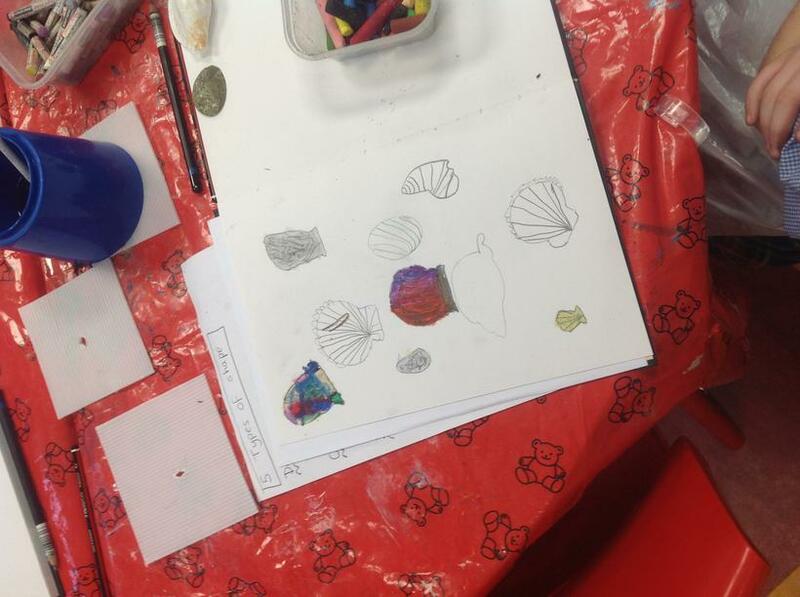 By the end of the week, the children were able to free hand sketch and created some fantastic pictures. 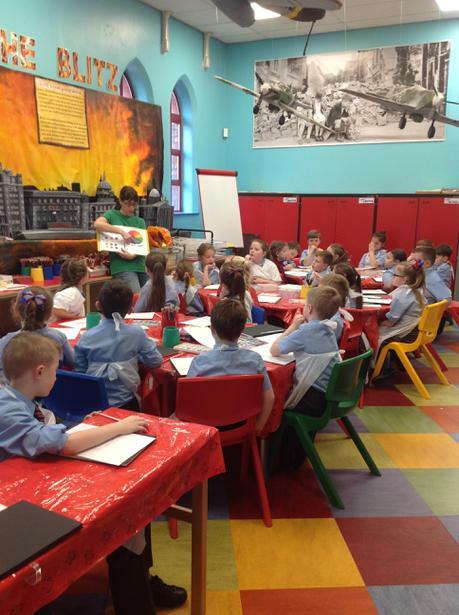 It was a wonderful week for the children, filled with fun and fantastic opportunities.